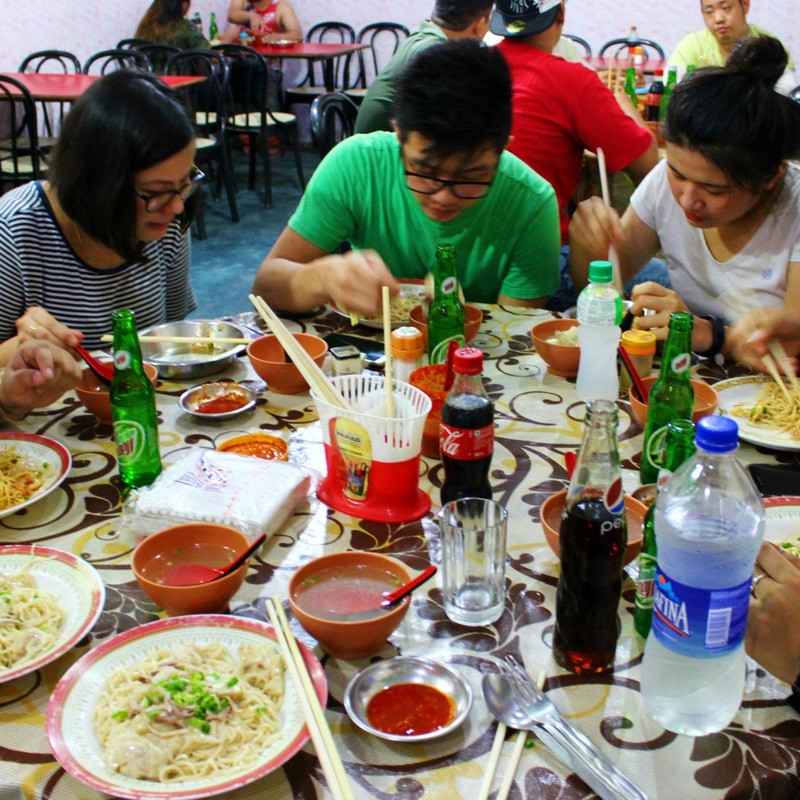 There’s hakka, Cantonese, pan-fried, mein foon and several other ways we’ve had noodles. But have you tried wonton noodles? We found a place in Chinatown that serves steamed wonton noodles, and foodies say they make it the authentic Cantonese way. They call it wonton noodles, but the Bengalis have renamed it as singara noodles! One of Tangra’s (Kolkata’s Chinatown) best-kept secrets, this one is best enjoyed at Ah Leung’s. It’s difficult to know about this unless you know Tangra inside out. Fortunately, we had a friend who did and she told us about the one very temperamental Mr Ah Leung who serves authentic Cantonese food at his home for foodies to come and try. Curious and hungry, we followed our friend to this quaint eatery (best take a rickshaw and ask to be dropped at Vicky’s) until we came to stop in front of an unnamed building. An open door leads you into what seems like someone’s family drawing room, but this one bustles with people and has tables and chairs lining it.Step into the eatery and you can catch Mr Ah Leung inside his kitchen. He speaks to none, but his family does – only to take your order though! There’s no menu at this self-serving eatery. All you need to know, before heading here is that Ah Leung serves the best wonton noodles made in pork lard, the best organ soup (kaptai) in the town and a variant of chilli chicken that is much too yummy to give up due to any meat scares. The noodles come bland and soaked with pork lard, and is topped with tender wontons. The minced meat and veggies kaptai is best complimented with the wontons. Steamed and rich in fat, wrap up your meal with a side of chilli chicken (not the regular pan-fried chilli chicken, but deep-fried nuggets served with green chillies). Mr Leung’s kitchen has a limited spread, but he doesn’t seem to care, and neither do we. Open only from Thursday to Sunday, these special delicacies are available only for breakfast and brunch (between 9 am to 1 pm). Best of all, Leung’s portions are really wholesome and are priced very reasonably at INR 80 onwards.